Depending on their financial situation, people have different dreams when it comes to material things. Cars are among the most common men’s dreams, so many of us live our lives for years wishing to own a particular four-wheeled friend. Whether they are gunning for Audi TT, Porsche Carrera or Chevrolet Camaro, most people simply can’t afford to go down to the car dealership and buy that dream vehicle. Those of us who fall into this category have to look for alternative ways of getting our hands on that particular set of wheels. Fortunately, it’s still possible to turn this dream into reality. 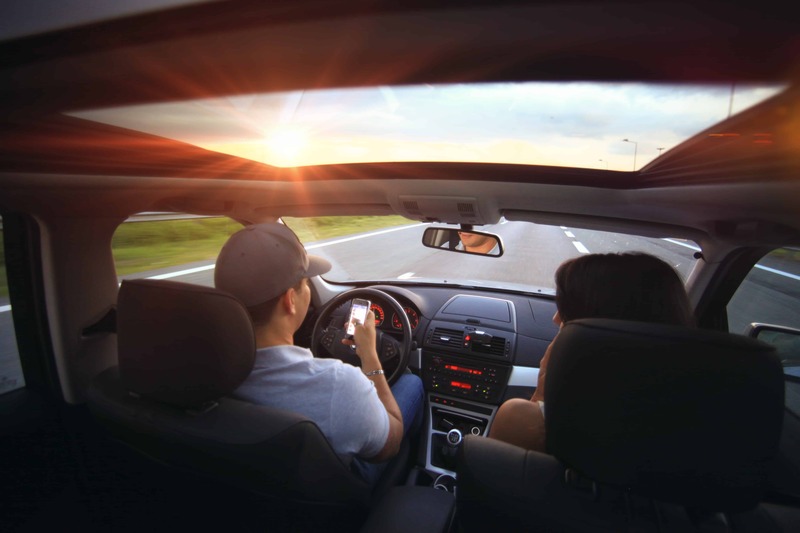 In this article, we explore the options available for all people to make their dreams come true and finally sit behind the wheel of the car they wanted to drive since they were kids. While some of these methods require self-discipline and good money management skills, others are more reliant on luck and risk-taking, so let’s get to it. Buying a brand new car may be everyone’s perfect scenario and there certainly is something special about that smell of a fresh car that was never taken out on the road before. However, speaking from a financial point of view, buying the latest model and buying it brand new is almost never a good idea. Cars lose significantly in their price after being bought by their first owner. It is estimated that an average car depreciates over 30% in its first 1-3 years. This means that you could be looking at buying your dream car at a 30% lower price if you just buy it from a previous owner who has only driven it for a very short time. Such cars will in most cases be almost as good as new. There is only little difference in performance between a brand new car and one with very low mileage. If you are lucky enough, you will run into an owner who is in a hurry to sell and may negotiate the price down even further. While it does take a bit of luck, some people have won their dream cars in various contests and tournaments. Big brands like Coca-Cola regularly give away cars in their promotions, so you can take part in them and get at least some chance at sitting in a supercar someday. If you are not lucky enough to win your dream car contests held by popular brands, you can try your luck at competitions organized by online gaming operators. For years, Pokerstars used to give away the coveted Audi TT in their weekly Turbo Takedown tournament and many other poker tournaments came with cars added to the prize pool. While Turbo Takedown no longer awards an Audi TT, there are still many online casinos and online poker websites that sometimes offer such giveaways as part of their regular bonuses and contests, in which supercars are being awarded. If you don’t mind a little risk, this might be another way for you to try to win the car you always dreamed of. Of course, it is important to note that trying to win a car in an online gaming competition of any kind can be risky business and one should be careful when doing it. An occasional shot at such competition may just prove to be lucky, but turning to online gambling to try and win at any cost is something you should stay away from. While leasing is not as good option as buying from a financial standpoint, it is another way to drive the coveted car without having to pay its entire price all at once. Leasing the car will get you on the road instantly and for only a fraction of the price paid each month. This method is great for people who find that they are simply not responsible enough with money to make long-term savings or who don’t like taking bank loans without absolute necessity. In a leasing agreement, the car is yours as long as you pay for it. Thus, you will return the car to the leasing company when you decide to close the contract. The negative side of leasing is that you never actually get to own the car and you will basically be renting it for an extended period for a lower price than a standard rent-a-car. The good thing about it is that you get to drive a much better car than you could afford to buy all at once and you will not have to worry about car depreciation over time. Dreams can come true and if driving a supercar is among your life goals, there is certainly a chance you will achieve this one within your lifetime. Of course, if your earnings are limited, getting your hands on such a car may be a challenge, but we have presented you with a few options that may just end up with hitting the road in style. If you pick one of them and approach it with real determination, we are sure that you will eventually realize your dream and enjoy your fantasy ride.